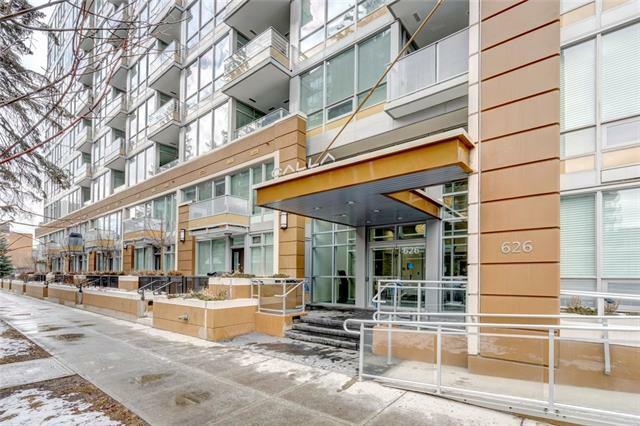 Welcome to the modern luxurious Calla building in the heart of the Beltline, awards of Excellence in Housing, 2014. 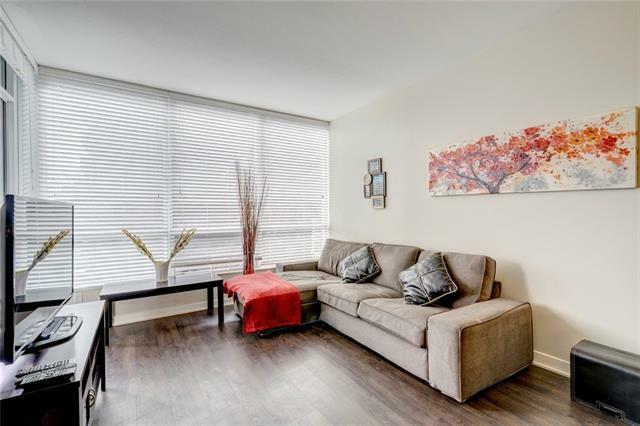 Amazing location with walking distance to shops, caf, restaurant, pubs, school, recreational centers and parks, and across from the historic Lougheed House and Beaulieu Gardens. 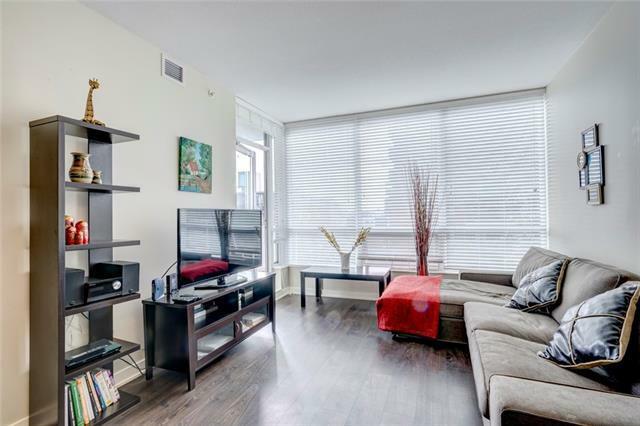 This condo unit is ideal for a single person or young professional who enjoy the urban living and/or work in downtown. 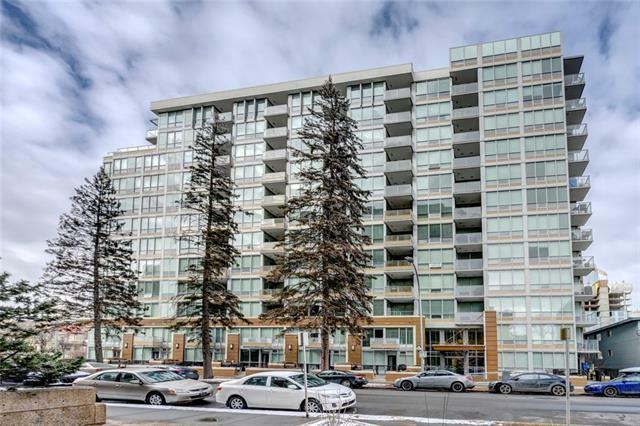 This incredible 1-bedroom condo unit features floor to ceiling windows, central air conditioning, 9 ft ceilings, laminate flooring, in-suite laundry and a south facing balcony with downtown views. The kitchen has a quartz countertop, stainless steel appliances, gooseneck faucet. The unit has a title underground parking and assigned storage space. Building amenities include a fully equipped gym, yoga studio, steam room, guest suite, underground visitor parking bike storage, and concierge service.